We recently updated all the labels here at Pence Ranch & Winery, and we’re really excited about how they turned out. You may have already seen the new bottles on social media (we hope so!) or maybe you’ve already drunk wine from them. Either way, here are some shots of our new beauties. Enjoy! 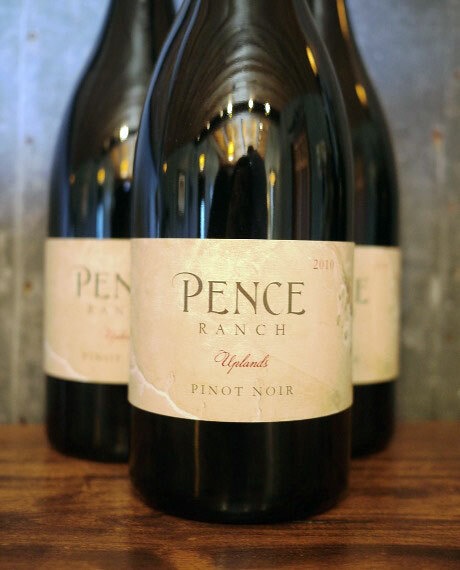 After several years of investment in our vineyard, coupled with a deep immersion in farming and winemaking, we are pleased to announce the launch of the Pence Ranch Wine Club starting this Spring 2014. Our accomplished team is already producing impressive small production wines to which members will enjoy guaranteed access. But unlike other wine clubs, the Pence Ranch Wine Club also comes with the unique opportunity to experience the sheer beauty and pastoral nature of Santa Barbara County and the timelessness of old California. Our estate is rich with natural resources and hospitality venues that we intend to share with all our members, including access for picnics and entertaining at the Pond Pavilion and other attractive venues. Monopole and Lieu-Dit Club Level Members will be invited to enjoy additional site amenities, including our North Camp, a rustic campground tucked amongst the oak forest; miles of private hiking trails and picturesque views; and our Equestrian Arena and Facilities. These members will also have future access to entertain at the 1907 Original Ranch House. Lastly, all Wine Club Members will receive from our Ranch and Farm operations annual complimentary gifts of organically grown food items and consumables produced exclusively for them. Our team of Sashi Moorman and Stephen Janes, respectively our Winemaker and General Manager, are working diligently with me to bring you one of the most exciting new wine experiences and destinations to come out of Santa Barbara wine country in years. Our commitment to quality and producing beautiful wines has never been more steadfast nor unwavering and are very confident in the prospects to come. Read more about our team. 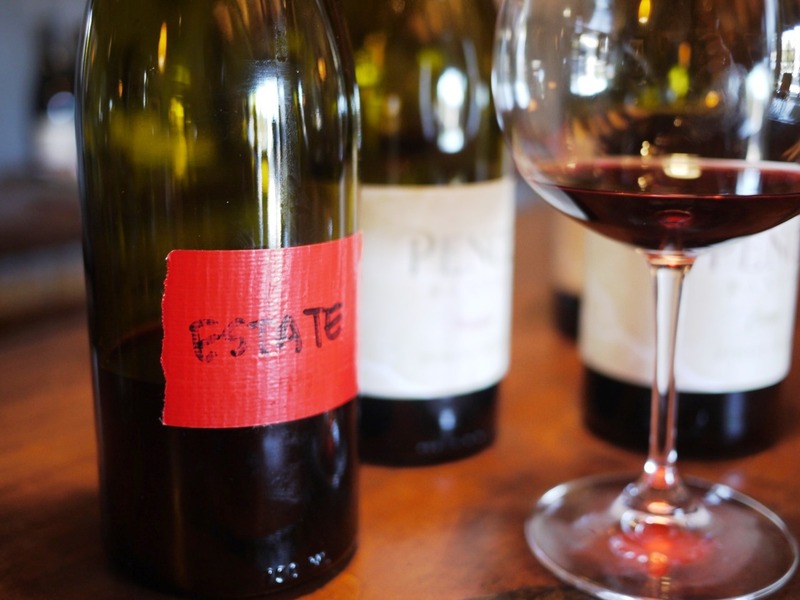 To join or learn more about our Wine Club, please click here. In the Vineyard: to Graft or Not to Graft? ‘Tis the question that the team at Pence Ranch has been asking ourselves over the last several months. What do we wish we had a little more of in the ground? What small tweaks in the vineyard could we do that would add value to our program? What else do we think our clay-based site is best suited for? With only 6 acres of Chardonnay, and yet 30 acres of Pinot Noir, we decided that more Chardonnay was a natural choice because we are so enamored with the style of wine that our region produces. In our 2013 whites, we are already seeing a beautiful, fresh lemon-citrus, racy and nervy style of wine develop. When put into the hands of a winemaker like Sashi Moorman, who understands how to coax all the flavors from the grape while also preserving restraint, Chardonnays are magical and have tons of energy. These grafted 3 acres are a selection massale of various cuttings including Wente, Clone 4, 76, 96 and 548. While these 3 acres are much needed, this will certainly not be our last plantings of this varietal. We have also decided to graft one acre of Pinot Noir to Gamay. Yes, Gamay, as in the grape that heralds from Beaujolais in France. Consistently one of the most unsung heroes of the red vinous world, Gamay makes very aromatic, pretty, soulful and highly drinkable wines. With excellent provenance coming from the original US plantings of Gamay at Seven Springs Vineyard in Oregon, our cuttings should yield a healthy crop and one that will work very well into our estate program. The good news about these small changes is that with successful grafts (see photos below) happening now in the field, we should be able to see one ton or more of fruit this year! We cannot wait for the results! !